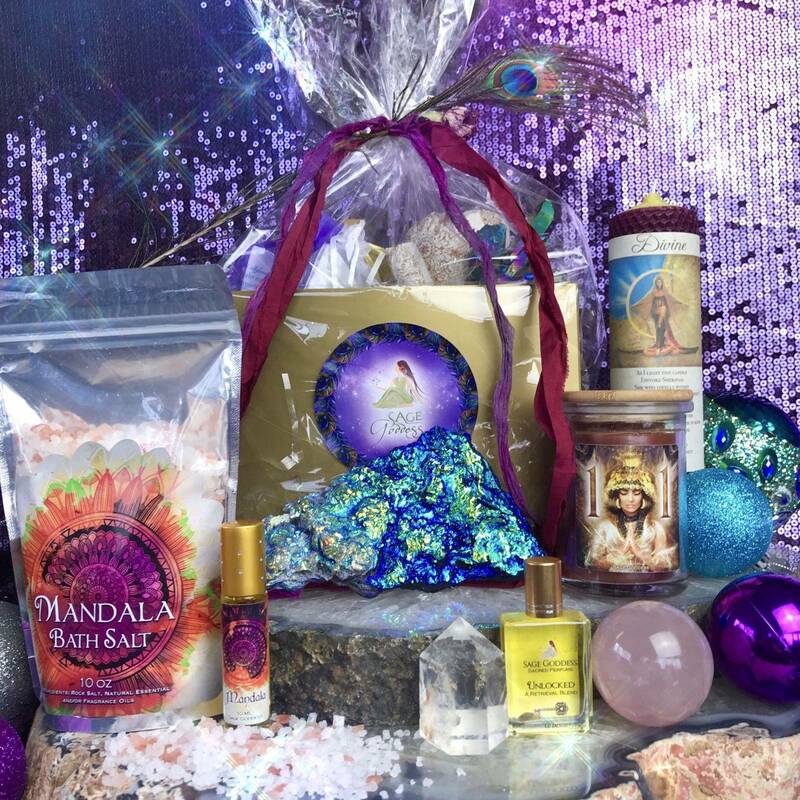 Our Surprise Packages are back for the holidays by popular demand. 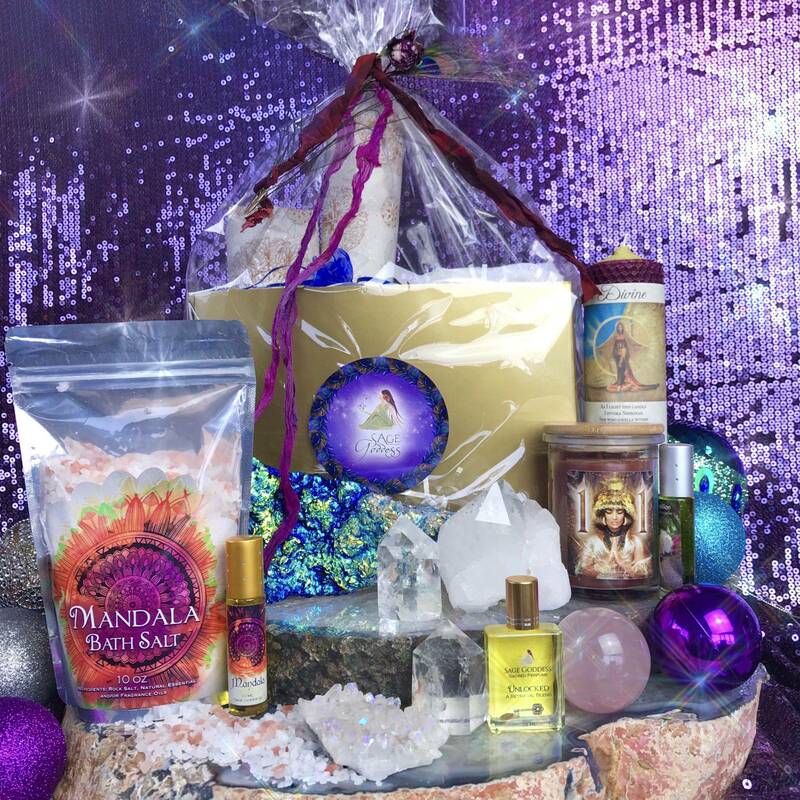 These gift sets are offered in a range of price options for you or someone you are gifting this season. Do you trust your intuition? Do you trust mine? If so, purchase this offering, and when you do I will craft a custom gift for you or someone you choose. 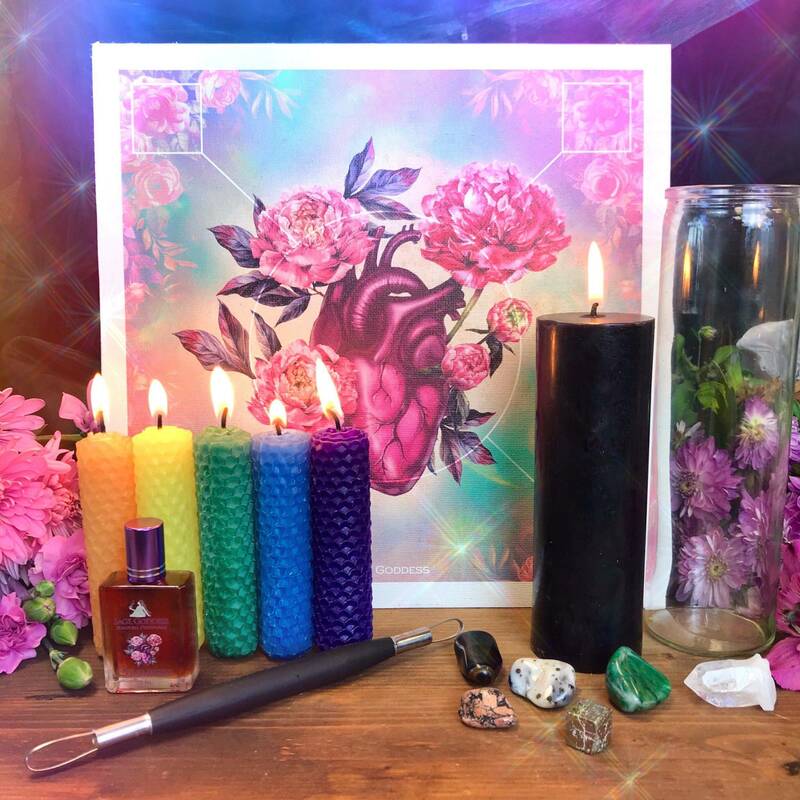 These packages may include stones, oils, candles, gems, bath products, and perfumes, and other items I feel called to help fulfill your needs and nourish your spirit. 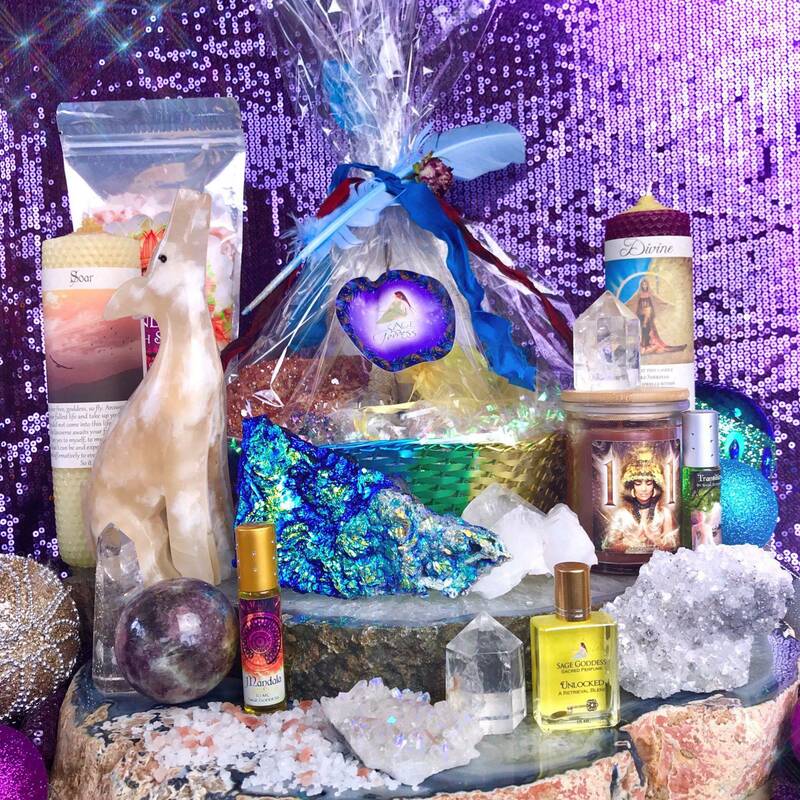 These Surprise Packages are decadent – a gorgeous presentation of sacred magical tools! Just tell us the name of the recipient and their birthday, and let us take care of the rest. 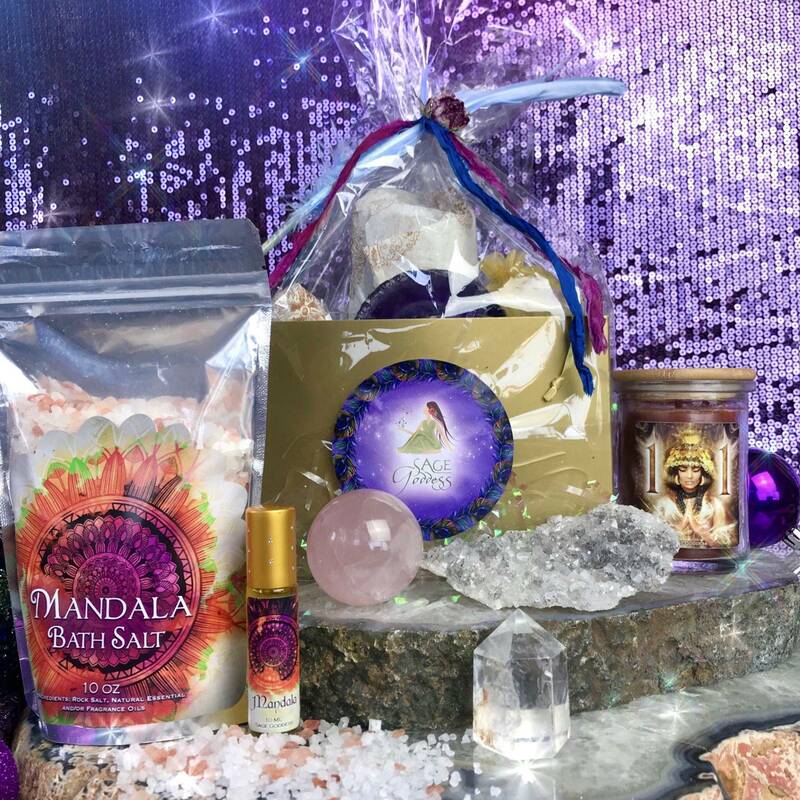 We will intuitively choose items from the entire SG line of products. 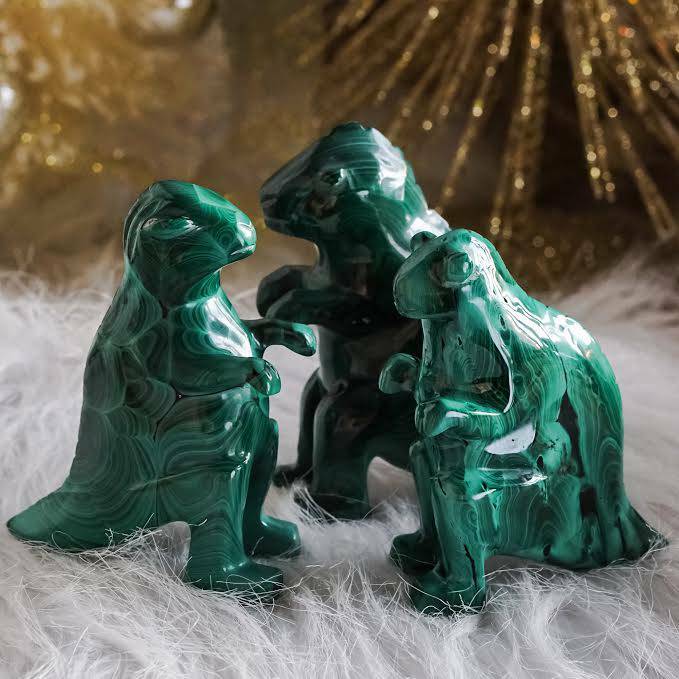 Everything will come beautifully wrapped up SG style – “all the things” just for that special person you choose to spoil this year… or for your OWN holiday surprise of self-love. 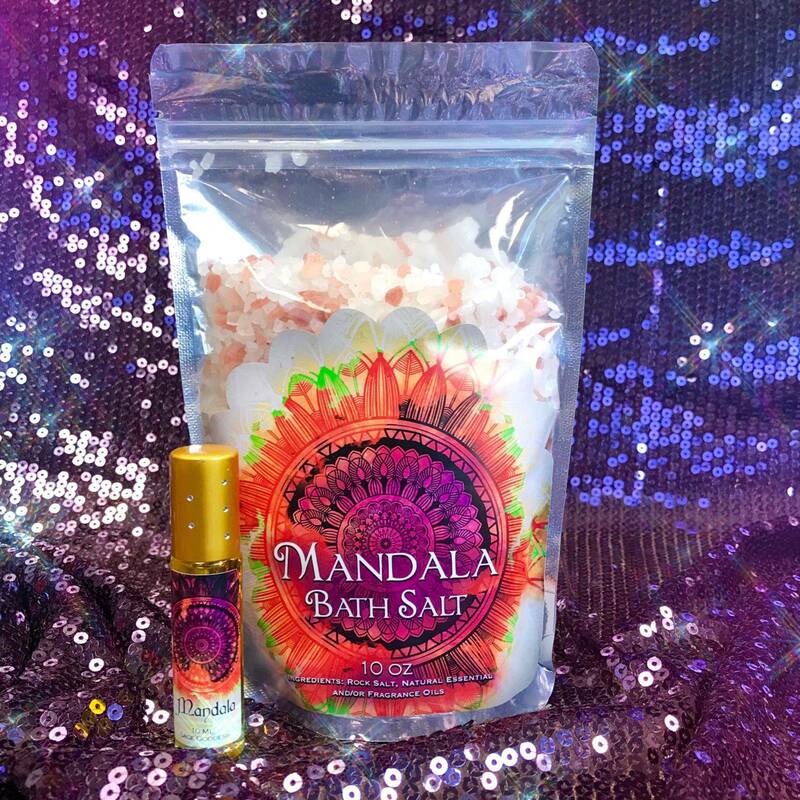 All packages (regardless of price point) will come with our brand new Mandala Bath Set, which includes bath salt and a 10 ml bottle of Mandala Perfume. 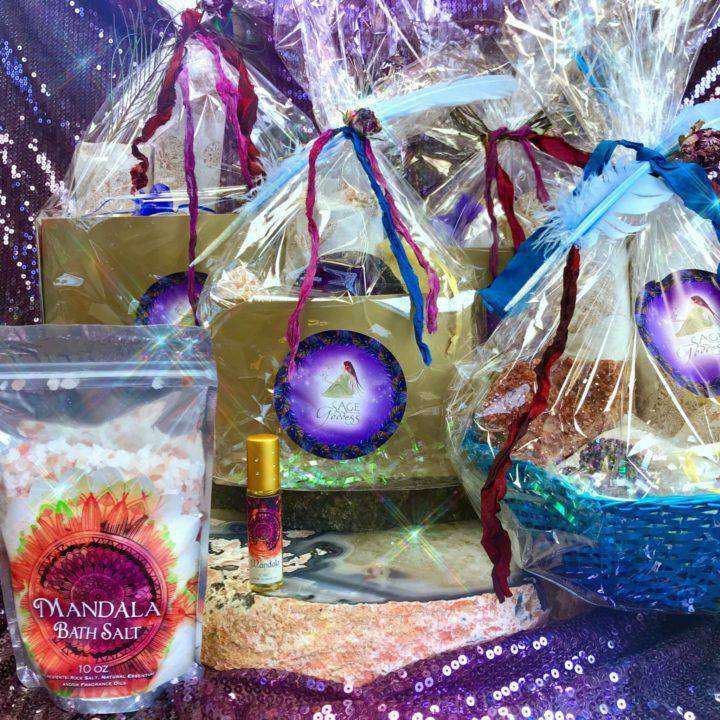 Mandala is a gorgeous blend of tea tree, lavender, and mandarin. I’ll be adding new and even unlisted items to these packages to keep it interesting, even for my most seasoned shoppers. Because life should be full of magic. Please allow 5 business days for completion once you place your order. I am offering six price points in this offering: $50, $100, $200, and $500. Select the one you feel called to from the drop-down menu. You can trust that we will fill your packages beyond your money’s worth. This listing is for one (1) Surprise Package. Yours will arrive lovingly parceled for your enjoyment and delight. Note: The body products in these packages are for external use only. 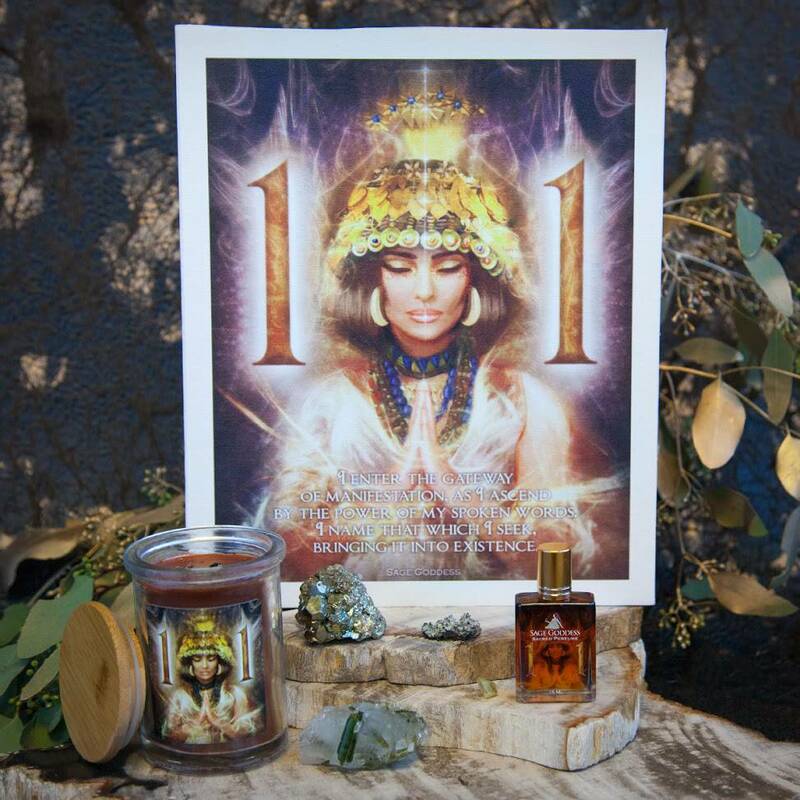 Our perfumes are made with natural essential and carrier oils and may contain fragrance oils. Cap color, chip stone, and color may vary slightly. For external use only.